In the final chapter also He says “bhaktyA mAm abhijAnAti” – by bhakti one knows Me right; and thus emphasizes the jnAna angle. The root ‘jnA’ gives rise to both the words ‘jnAnaM’ as well as ‘jAnAti’. ‘Through Bhakti one knows Me as I am, thereby enters Me and by My Grace obtains the eternal Immortal position’ -- so ends His message in the advaita fashion. In pursuance of the same, while giving it to Arjuna, He says ‘Adopt Buddhi Yoga’ – not Bhakti Yoga! Thus there is no ringing of bells, no offering of flowers, no relationship in several moods. 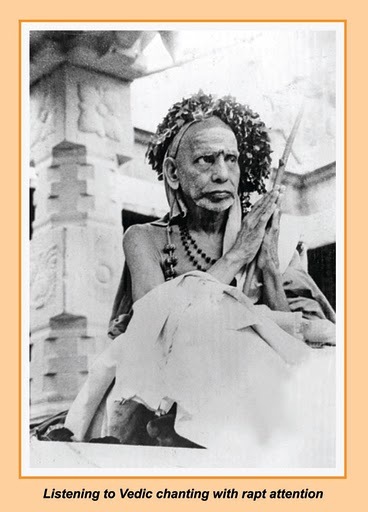 However it is the mood of Love with which one gives Himself up to the Universal Life-Source and this apex bhakti is what plays an important role in the path of jnAna.